When performance is paramount, hydraulic retractable bow thrusters provide a perfect solution. Lightweight, powerful and allowing almost perfect weight distribution, designers and prestigious yards have consistently specified Max Power thrusters over the years. Max Power offers two product ranges in this family: the vertically retracting VIP HYD range and the top end Retract™ folding series. 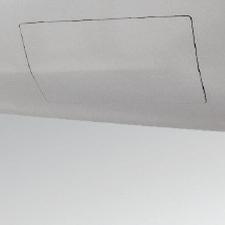 When retracted hull lines are left smooth and unaffected. When deployed ideal immersion depth is achieved. Can be installed in habitually damp areas such as sail lockers. 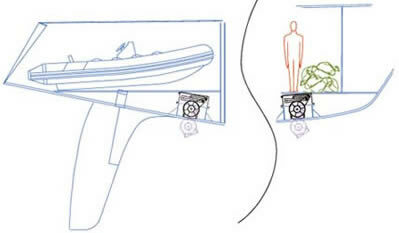 Allow ideal weight distribution in high performance yachts. Built for the growing 55-75’ compact super yacht sector: the hydraulic VIP 150 HYD & VIP 250 HYD both benefit from an ingenious design, allowing a light, powerful retractable thruster to be built to a competitive price. Max Power’s vertically retracting VIP thruster series uses a unique and patented thrust plate design. 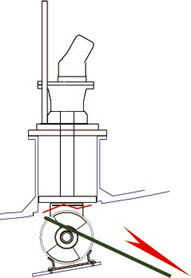 A square piston mounted to the top of the turbine inside the thruster’s box transfers the lateral thrust load directly to the hull at its strongest point. This has allowed Max Power engineers to build in a “weak link” to help maintain hull integrity in case of accidents such as fowling ground lines or anchor chains. The electronic control box delivered with VIP thrusters protects against accidental misuse and incorporates features such as automatic retraction, audible alarms and position indicators. Designed with super yachts in mind, the thrusters in the Retract™ thruster range offer exceptional durability & performance characteristics. Light, compact & built following exacting engineering standards these folding retractable units have been fitted to the worlds most prestigious super yachts for many years. Several versions of each Retract™ model are available. 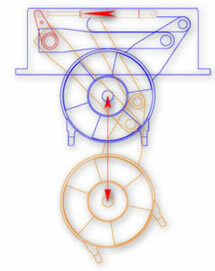 Hydraulic flow and pressure can be customised to suit hydraulic system specifications. Many of the larger units in this range are manufactured to order. Specified by designers and architects alike, these technically superior retractable units are supplied to many of the world’s finest custom yacht builders. 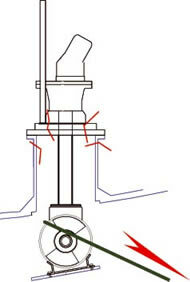 The patented double wishbone retracting movement allows the thruster’s turbine to move along a perfectly vertical axis. This in turn makes for simple and small hull openings. Models from R300 up use a gas spring that constantly hold the thruster shut tight. Even in cases of hydraulic system failure the Retract would snap shut rather than fall open. 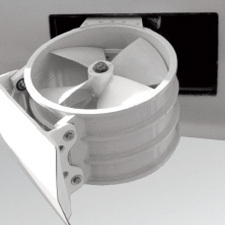 Using a unique & patented folding movement, Retract™ thruster units require little space inside the yacht thereby allowing designers to freely use all the interior space available. 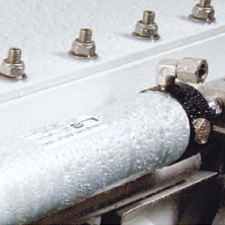 Fully water resistant, the Retract™ can be installed in the bottom of damp sail lockers or wet bilges without problem. The Retract’s™ unique design means that the thruster not only has a longer stroke(s) but also uses a much smaller hull opening when compared to swing type designs. 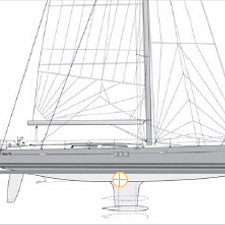 Built-in weak zones in the Retract’s™ mechanism assure hull integrity in case of accidents such as fowling ground lines or anchor chains. 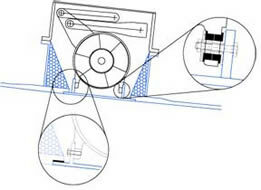 The Retract™ mechanism allows the last closing moment of the door to be completely vertical. 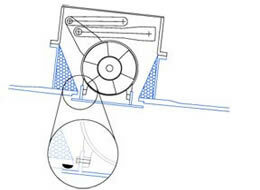 This in turn allows the use of a flexible gasket in the hull rebate. Often used on high performance vessels, the pounding forces submitted to the hulls plating in the bow sections can be violent. Retract™ thrusters use silent block mountings between the hull door & the thruster’s turbine to ensure long-term structural integrity. Should you need more information or a Quotation request, Contact us.